Material: 100% polyester. Lining upper part: 100% polyester. Lining lower part: 100% polyester. Washing Instructions: Hand/machine wash in bag. 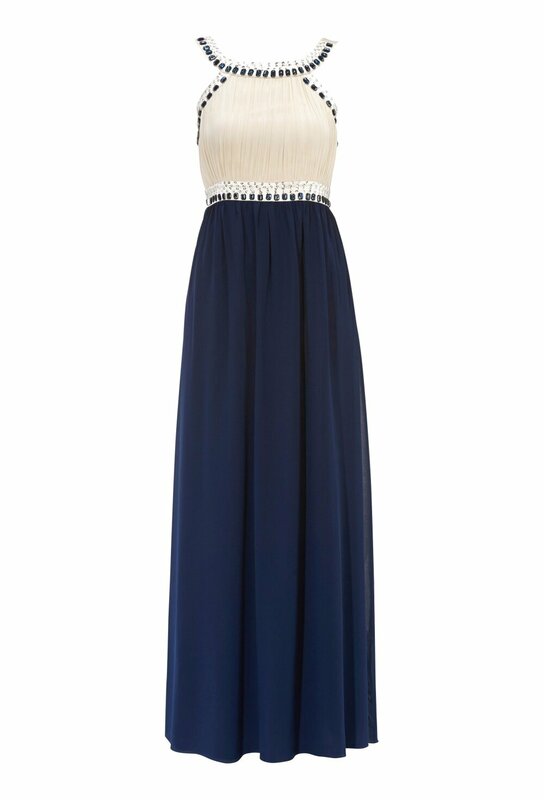 Glamorous maxi dress from Chiara Forthi for those evenings you just want to look the world. It's made of sheer, exclusive chiffon that flows wonderfully and beads, stones and sequins decorate the neck and waist. The draped front creates a fantastic looking effect, the back is elasticated and the edges are embellished with exclusive satin. Fully lined. Length from shoulder seam 139-145 cm depending on size. The model is 173 cm tall and is wearing size XS. Hand wash/machine wash in bag.